In Interview, Assange Hints At Unreleased Documents In WikiLeaks' Possession : The Two-Way The WikiLeaks founder also talked about the man being held in military detention for allegedly leaking classified documents. 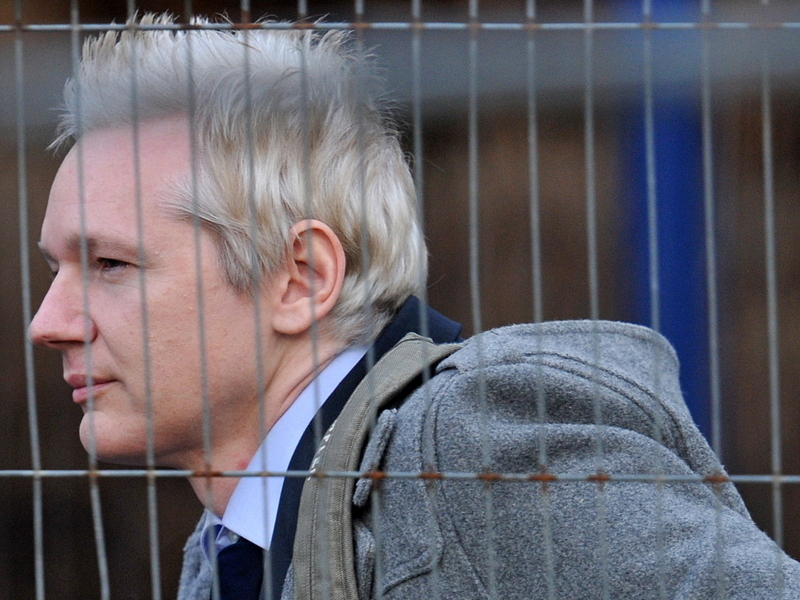 WikiLeaks founder Julian Assange arrives at Belmarsh Magistrates' Court in south-east London. In a interview with British magazine New Statesman, Julian Assange is hinting at what's ahead for WikiLeaks. Assange, the founder of the site that's leaked tons of sensitive government documents, said that if anything happened to him, he's prepared to release documents that belong to Rupert Murdoch and his media company News Corp, as well as "504 U.S. embassy cables on one broadcasting organisation." In prior public statements, Assange said he had documents that belonged to a major American banking institution. WikiLeaks also ran into a bit of controversy in December when The Washington Post reported that it had not made good on its promise to contribute to Manning's legal fund.